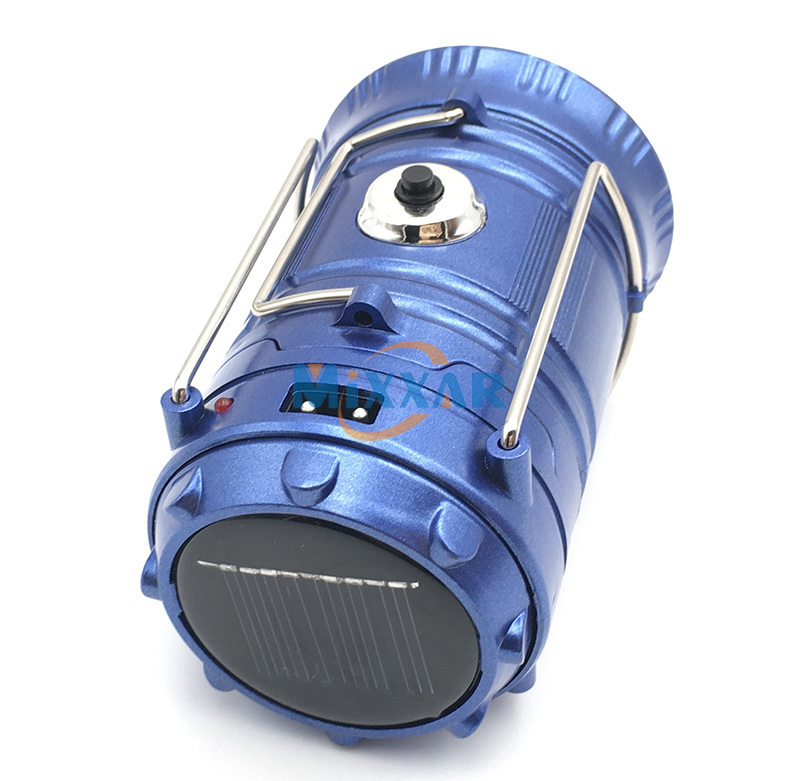 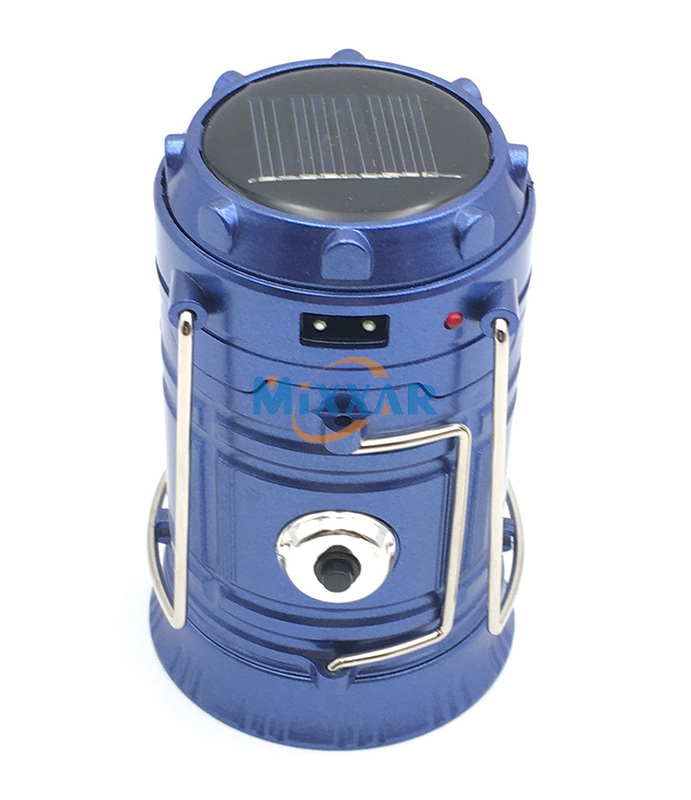 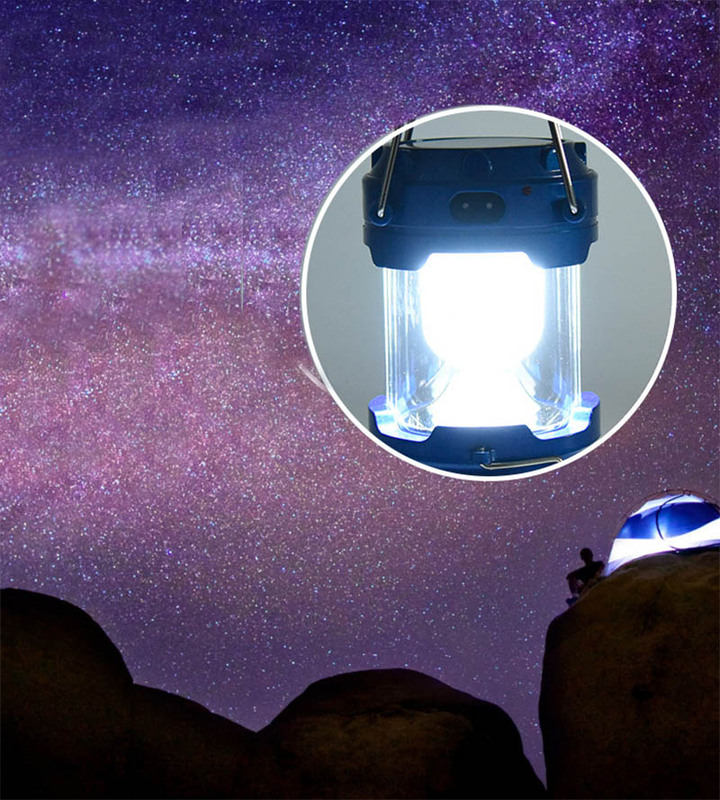 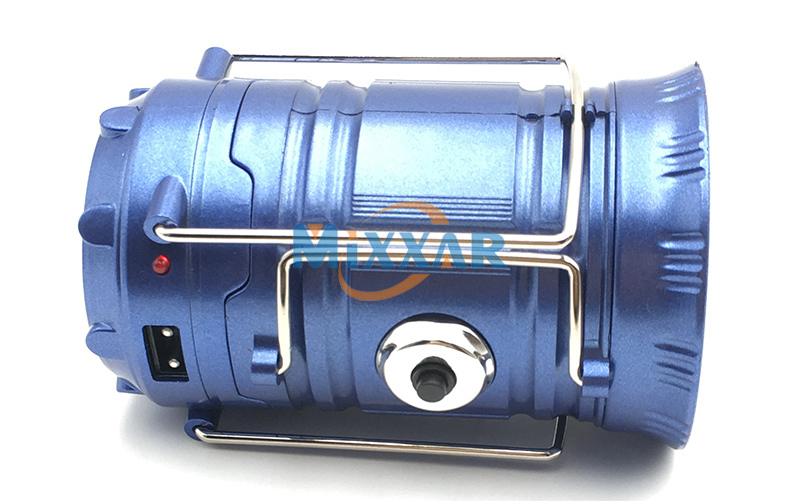 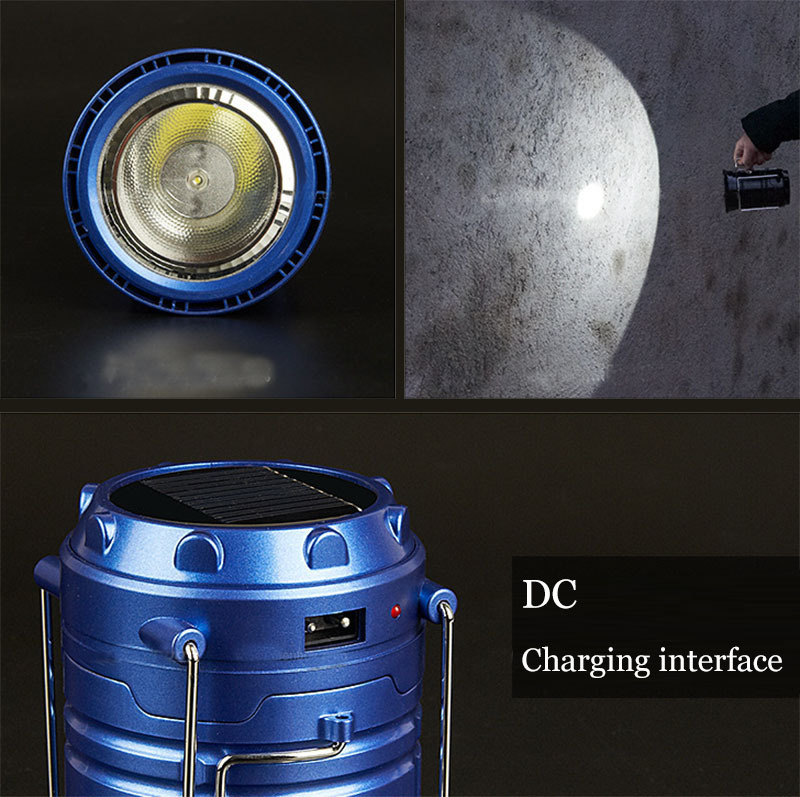 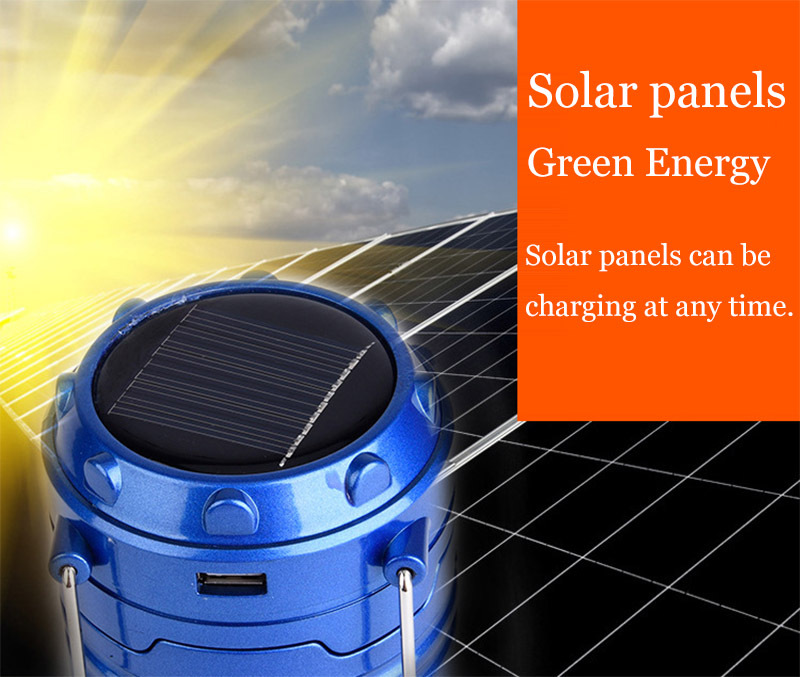 6 LED Collapsible Solar Camping Lantern, it is a necessity for anyone going camping. 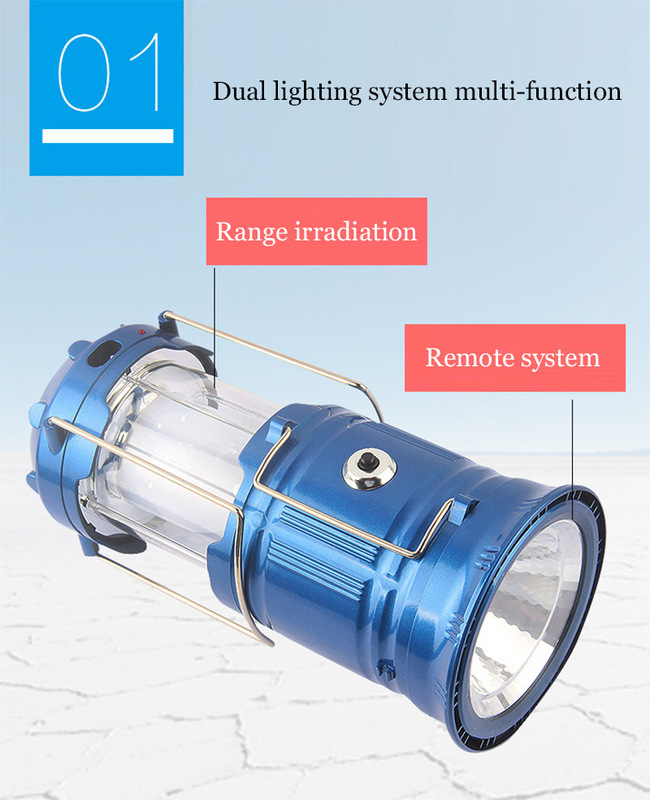 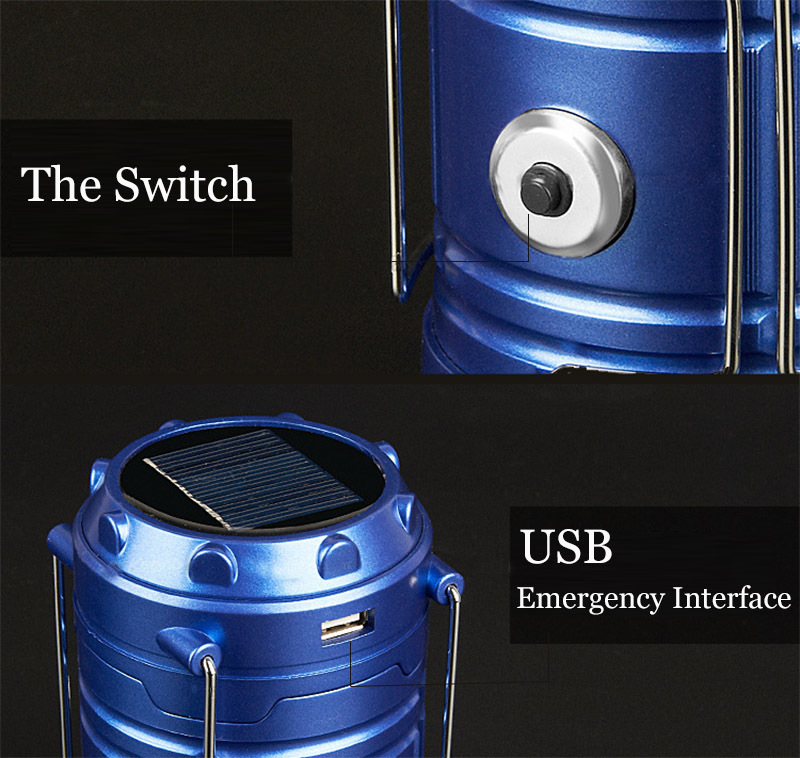 Featured with ultra bright 6 LED light for operation life up to 100,000 hours, this Collapsible Ultra Bright Solar Camping Lantern is low consumption and power-saving. 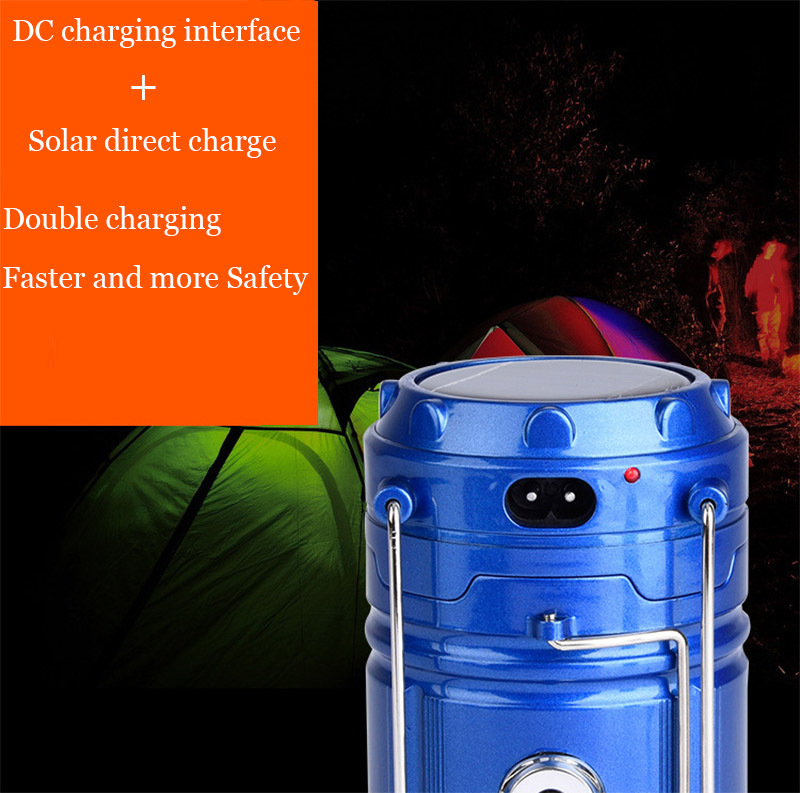 With a hook, you can easily hang it in the tent. 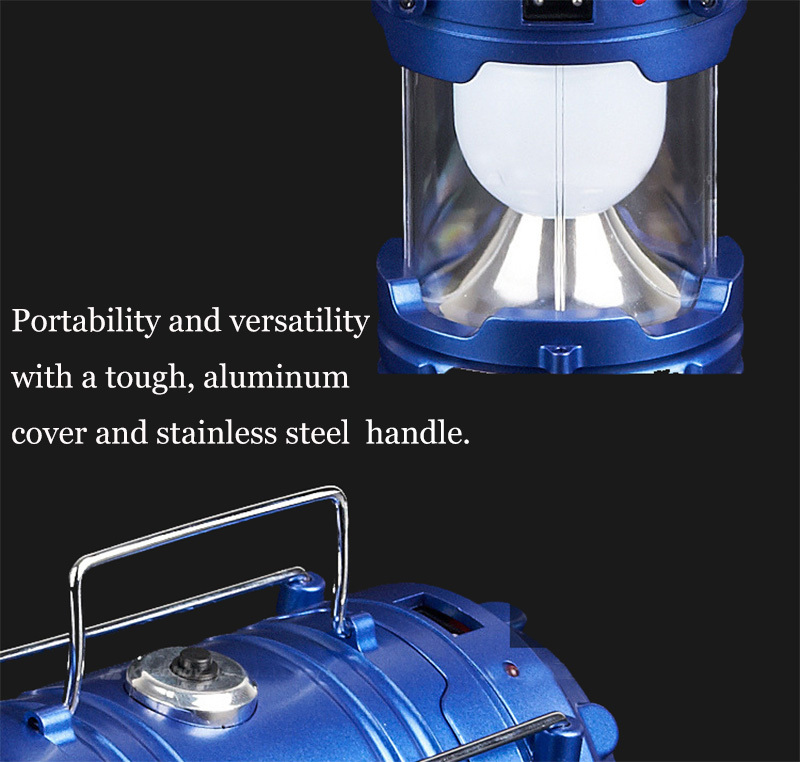 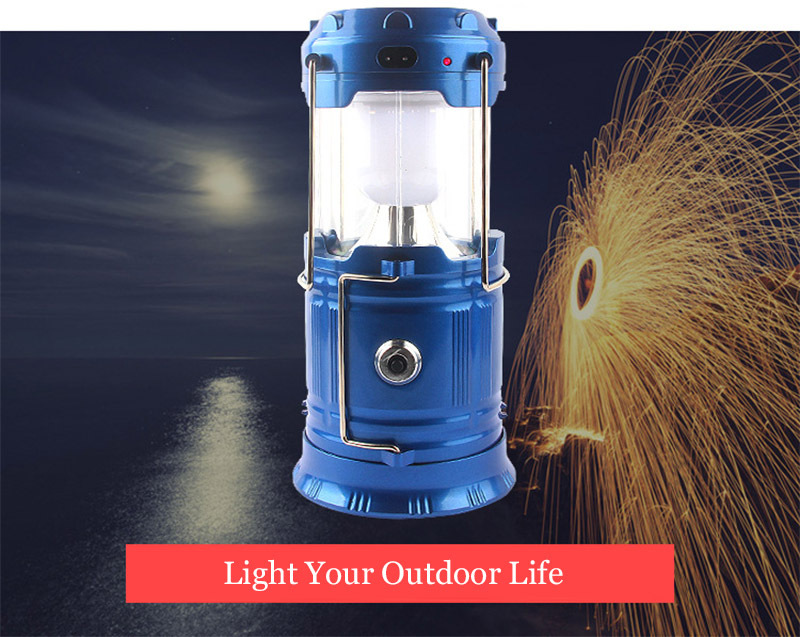 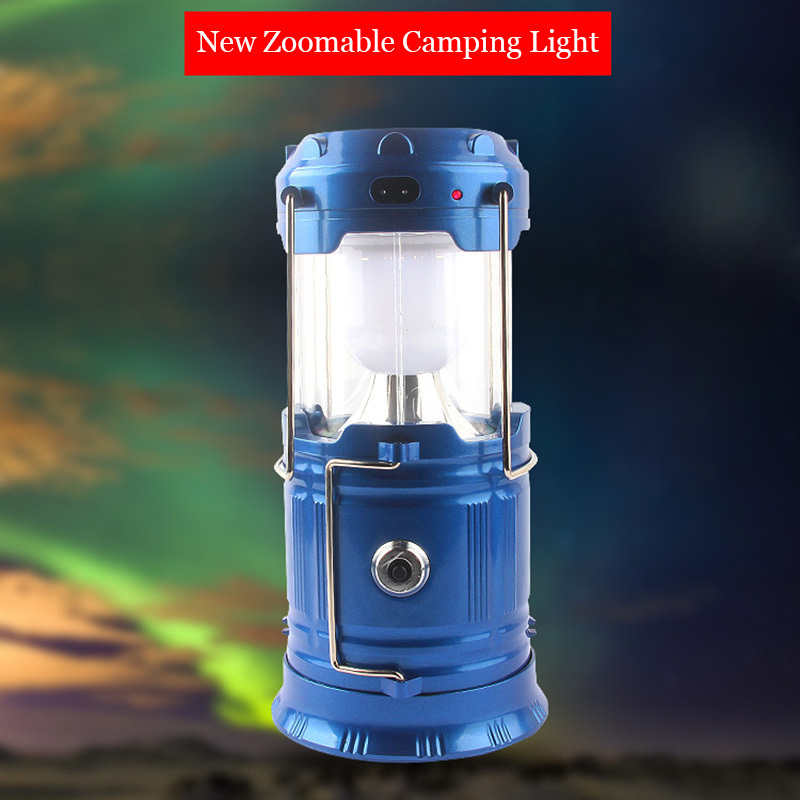 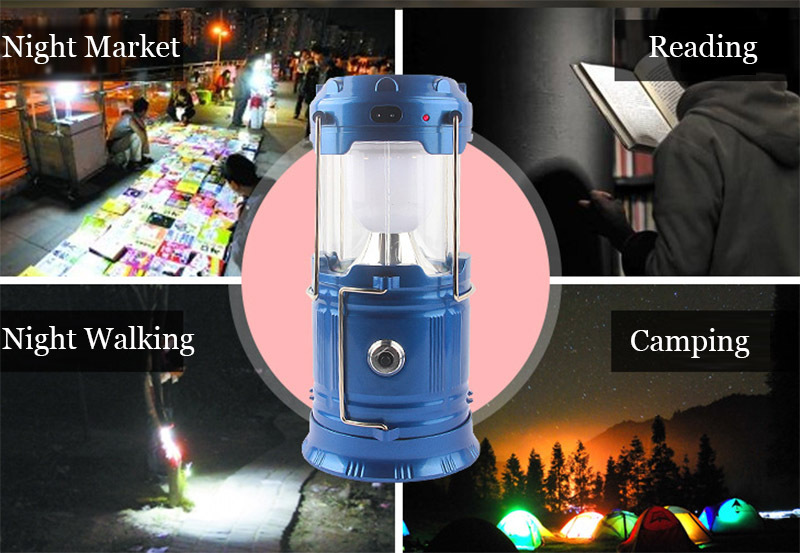 Altogether, with this 6 LED Solar Camping Lantern, you can do outdoor activities at any time with security guaranteed, and you will not be afraid of the darkness in the forest. 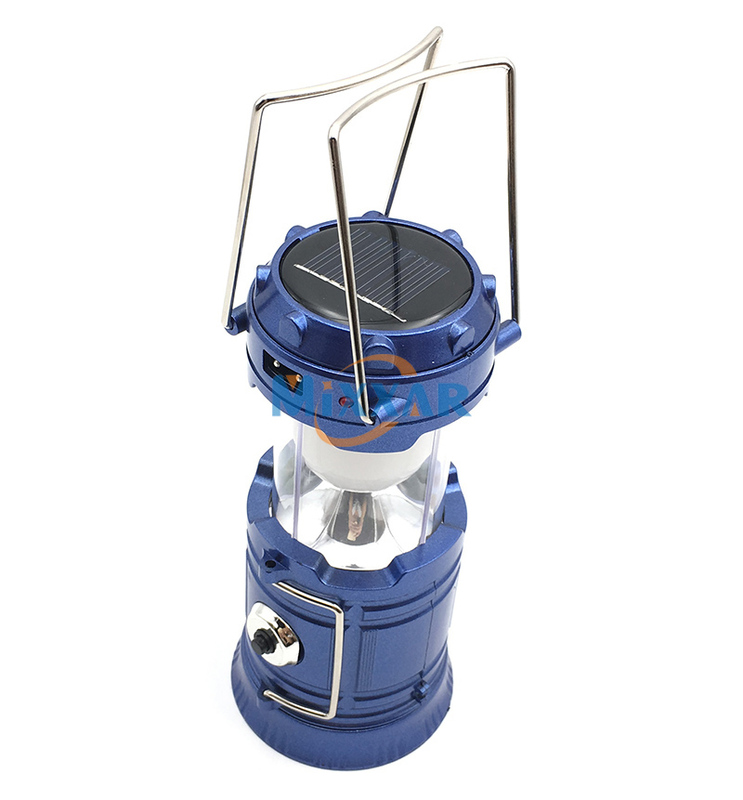 Don\'t miss this precious opportunity, this Solar Camping Lantern Light is your right choice! 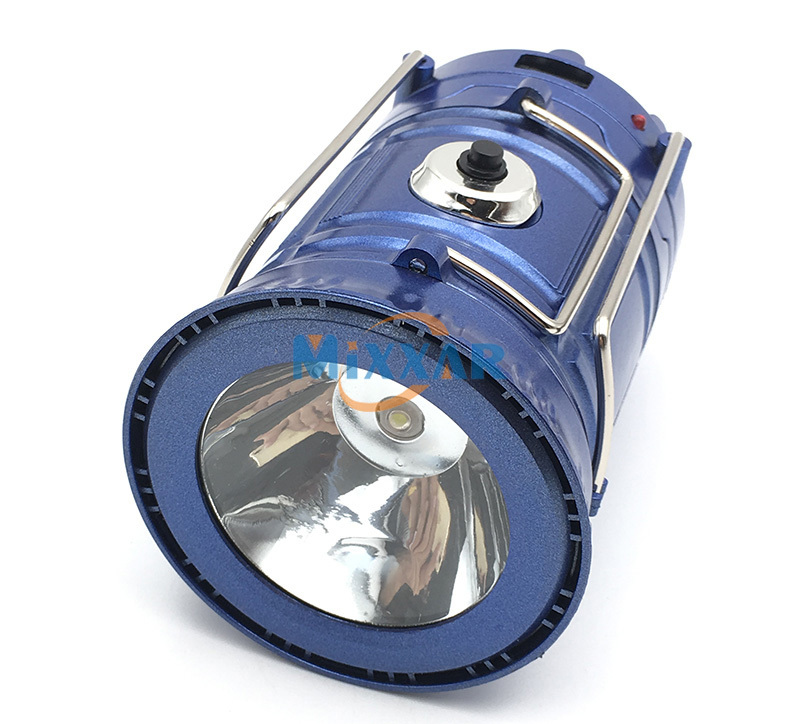 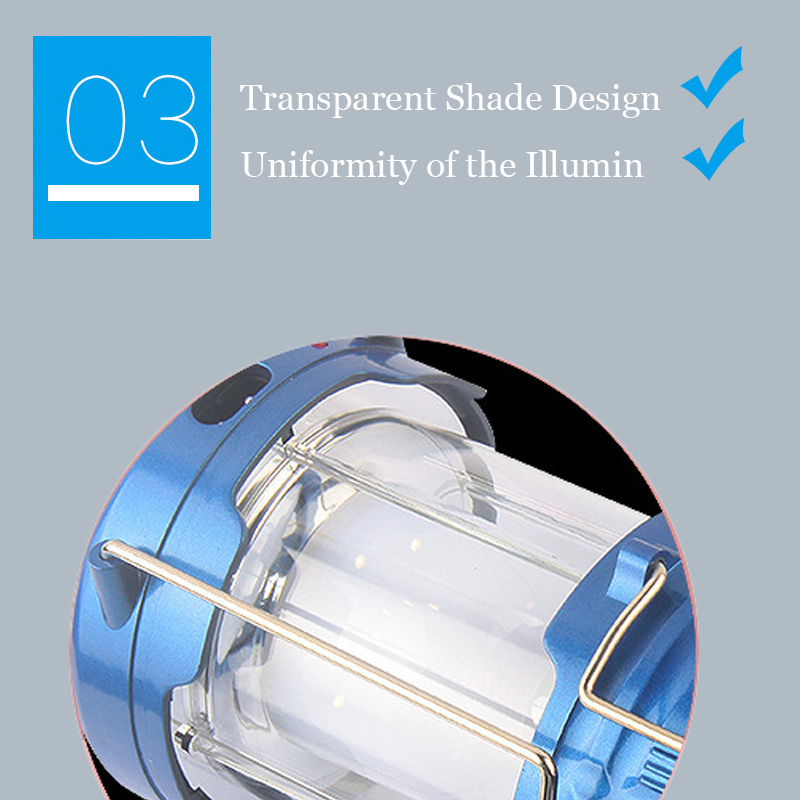 Stainless steel handle and plastic cover resistant to water, suitable for both indoor and outdoor lighting. 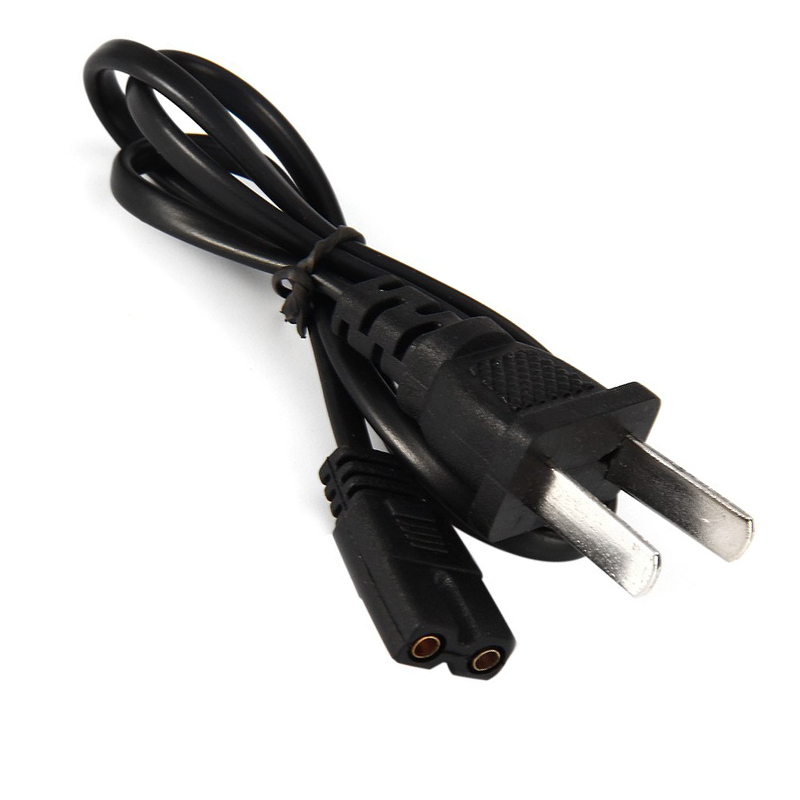 Plus: the AU/EU plug is plug+plug converter.